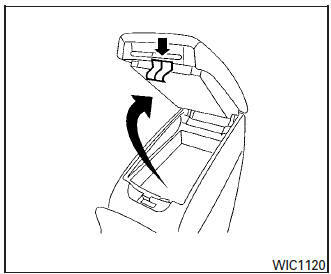 Pull up on the driver’s side latch to open the upper half of the console box. The upper half of the console box may be used for storage of cellular phones. An access hole is provided at the front of the upper half of the console box for a phone or iPod® cord routing to the power outlet. 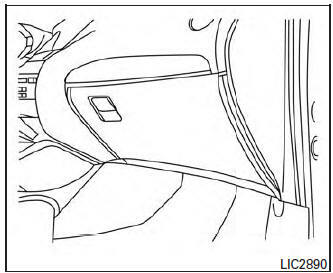 Pull up on the passenger’s side latch to open the lower half of the console box. A power outlet is located inside the console box and there is storage for compact discs.